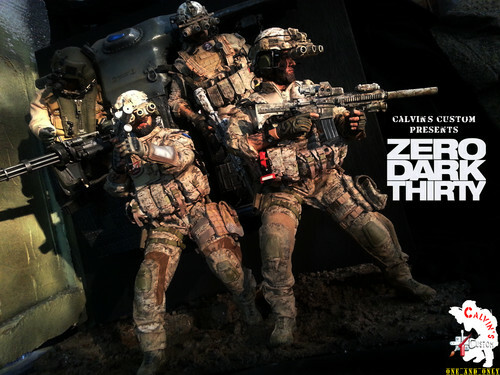 Calvin's Custom one sixth scale ZERO DARK THIRTY diorama . Calvin's Custom one sixth scale ZERO DARK THIRTY diorama . HD Wallpaper and background images in the Movies club tagged: movie zero dark thirty one sixth calvin's custom. This Movies fan art contains rifleman, green beret, special forces, elite soldier, navy seal, and seal. There might also be battle dress, fatigues, and regimentals.